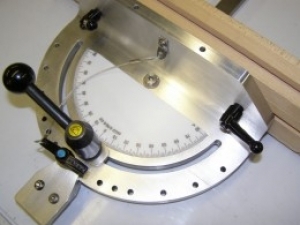 Homemade custom miter gauge fabricated from 6061 aluminum and featuring an adjustable handle. Beautiful work. The construct is flawless!